In 2018, Greyhound Pets, Inc. was able to adopt out 210 Greyhounds and Greyhound mixes with the help of our wonderful donors and volunteers. Thank you so much to all the generous folks who supported our mission with your time and your donations. We could not do this important work without you! Happy New Year and here is to 2019! The Heartship Medical Fund has been established to help GPI adopters with medical expenses for a GPI greyhound when an adopter is unable to find sufficient funds to provide necessary care. 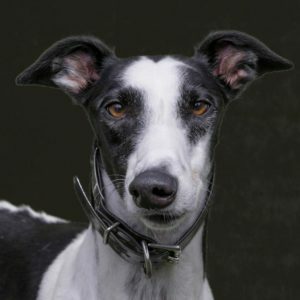 The Heartship Fund exists to help prevent returning a GPI dog due to a medical catastrophe and provides a resource that might help keep the greyhound at home and the family together. Your donations can help your fellow adopters who have fallen on hard times. Donate on-line through our "Donate Now" button or by mailing a check. On-line, select the "Heartship Medical Fund" option or note on your check that you want your donation to go to the Fund. Your donations will go directly to helping your fellow adopters. • The adopter must complete a Heartship Medical Fund Application. • The dog must have been adopted from GPI. • Eligible medical conditions are treatable injuries or diseases. • Medical conditions that are not eligible include amputation and chemotherapy for cancer diagnoses, terminal illness, elective medical care, and injuries resulting from owner negligence, including but not limited to dog park accidents. • Contact a member of the Board of Directors for an Application and details. • Payments must be made directly to the veterinarian providing the medical care.